An ankle sprain involves damage to the ankle ligaments, typically sustained during simple sudden traumatic incidents, such as rolling or twisting the ankle. 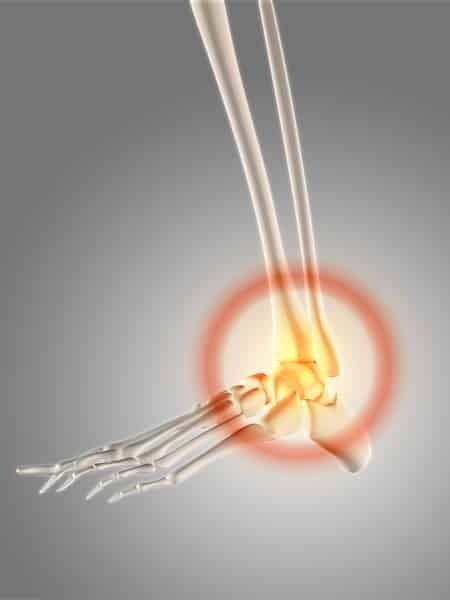 The ligaments on the outside (lateral aspect) of the ankle are much more susceptible to injury than the inside (medial aspect), and can produce pain, swelling, bruising and a sense of instability. Prompt assessment and management is essential in the first 24 to 48 hours, namely following the RICER regime and precautionary X-ray to rule out bony fracture, if indicated. Active and passive mobility exercises to restore normal range of motion to the foot and ankle complex. Balancing exercises to re-strengthen the receptors housed in the ligament that provide stability and improve position sense (proprioception). Your osteopath can organise and assist with braces/strapping products if required for more vigorous exercise. a leg length discrepancy which may be overloading one particular ankle.